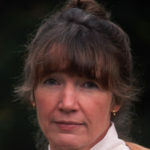 Anne Tyler is an American novelist, short story writer, and literary critic. She has published 20 novels, the best known of which are Dinner at the Homesick Restaurant (1982), The Accidental Tourist (1985), and Breathing Lessons (1988). All three were finalists for the Pulitzer Prize for Fiction with Breathing Lessons winning the prize for 1989. She has also won the Janet Heidinger Kafka Prize, the Ambassador Book Award, and the National Book Critics Circle Award. In 2012 she was awarded The Sunday Times Award for Literary Excellence. "Time, in general, has always been a central obsession of mine – what it does to people, how it can constitute a plot all on its own. So naturally, I am interested in old age." "The one ironclad rule is that I have to try. I have to walk into my writing room and pick up my pen every weekday morning." "Ever consider what pets must think of us? I mean, here we come back from a grocery store with the most amazing haul – chicken, pork, half a cow. They must think we’re the greatest hunters on earth!" "The Amateur Marriage grew out of the reflection that of all the opportunities to show differences in character, surely an unhappy marriage must be the richest." "I do write long, long character notes – family background, history, details of appearance – much more than will ever appear in the novel. I think this is what lifts a book from that early calculated, artificial stage." "For my own family, I would always choose the makeshift, surrogate family formed by various characters unrelated by blood." "None of my own experiences ever finds its way into my work. However, the stages of my life – motherhood, middle age, etc. – often influence my subject matter." "But what I hope for from a book – either one that I write or one that I read – is transparency. I want the story to shine through. I don’t want to think of the writer."